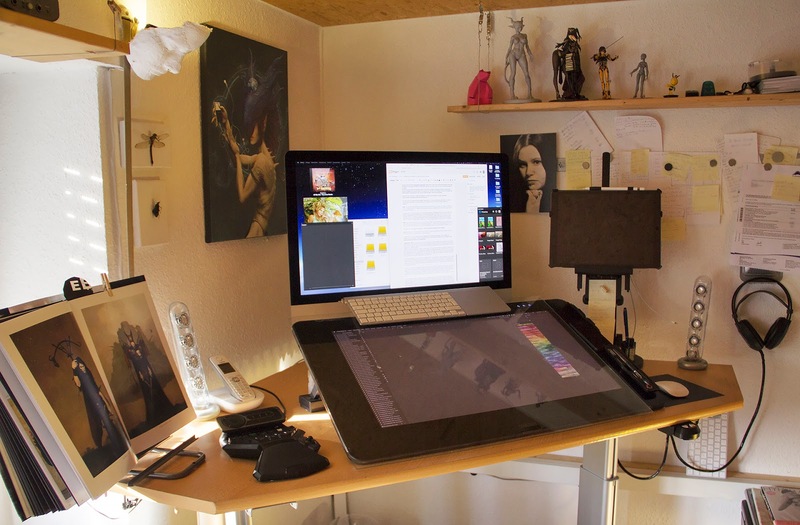 Personally I love to read Biographies and how other artist have setup their studio for work. how I invest my time and money. First off I have to say I´m a geek, I came in contact with computers at the age of 8 and that definitely changed the way I saw the world. For me it was a natural way to create art and recreate how I perceive my environment. I tried always to create limited original works but I ended up having no one who wanted them (yet). Opposed to that, I make a living by creating and selling my own digital art, so why even bother? My newest addition is an ergonomic saddle chair. Usually I work standing but on long hours it is great to be able to electronically move the table down and sit. 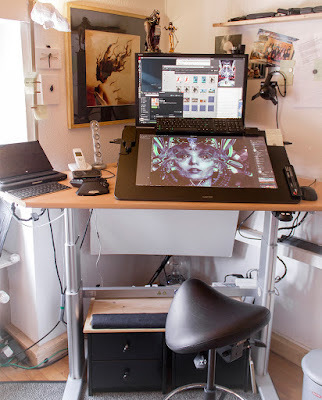 The drawing tablet is a Wacom Cintiq 27 QHD, you can find a review here. One could say I´m obsessed with workspace ergonomics and I even have a track record of my progress with optimization. You can view a gallery of how my desk / studio has changed over the years on this deviantArt gallery. Below you see some of my smaller printers which are used to create my posters. The oldest one does its job since around 10 years, a great combination of the right papers and original inks allow for long lasting results. 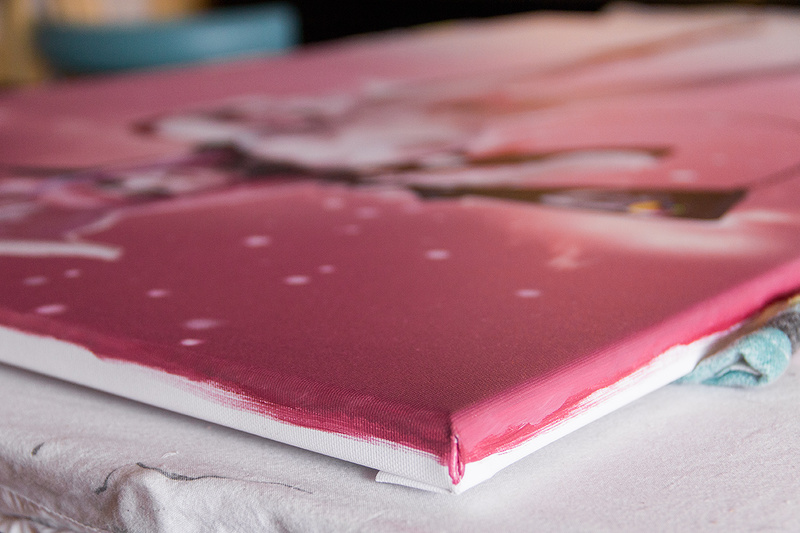 When it comes to large prints and canvas, I only trust in my own printer. 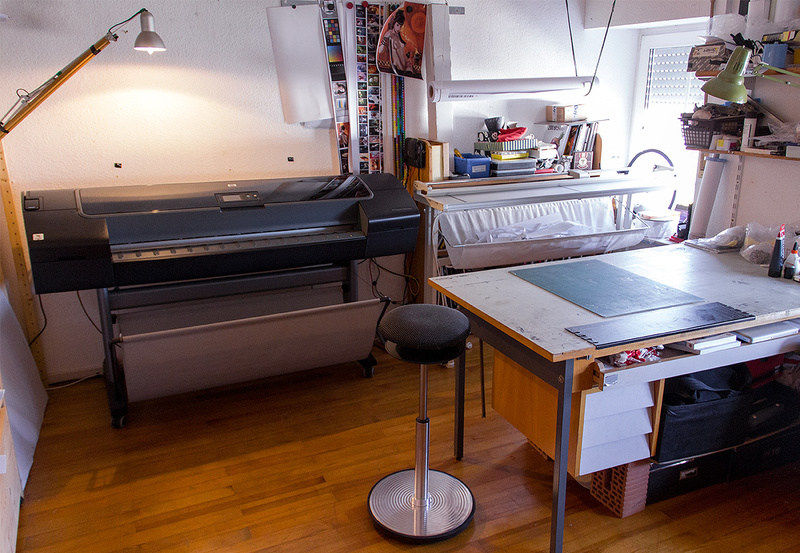 The Designjet z2100 is my newest investment and takes a considerable amount of my studio for good. The photo below is how it looks after I finished my printing work. 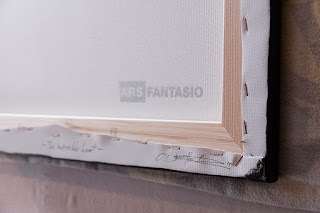 I may be nostalgic about that matter, but I love to frame each canvas by myself, this way I have the most control over color accuracy, finishing and unique treatments such as signature and labeling of each piece including certain borders that are painted by hand. Here is a little tutorial on how to mount canvas and especially corners right.